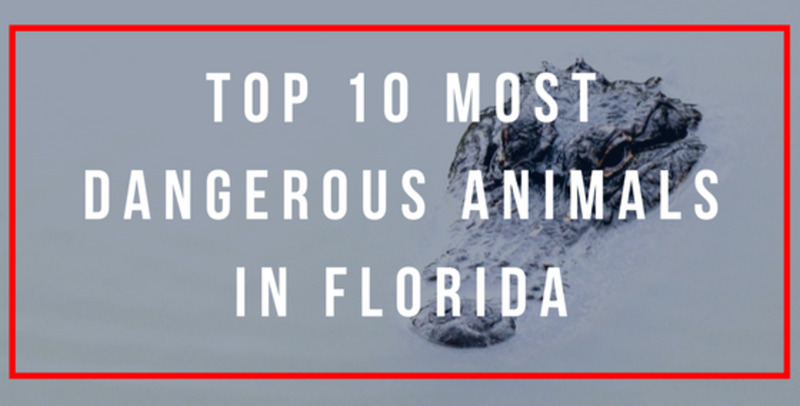 There are numerous animals that are capable of causing you harm in Florida, usually by biting you. Some animals use venom, while other dangerous animals just have big teeth and strong jaws. Some animals, such as the Florida black bear and the Florida panther, have suffered from shrinking habitats due to human encroachment over the years and are now endangered species. This means they are more threatened by us than the other way around! Still, you should take extreme caution if you come in to contact with any of the animals in this article. Note: At the end of this article, you will find information about what to do if you're bitten by a brown recluse, a Southern black widow, a venomous snake, or a fire ant. If you are hurt by any of the other animals on this list, seek medical attention immediately. Florida is home to two particularly dangerous spiders—the brown recluse and the southern black widow. Neither are outwardly aggressive towards humans, but they will bite if threatened. The brown recluse spider (also nicknamed the fiddleback spider, brown fiddler, or violin spider, because of its markings) is one of the most dangerous animals (fine, arachnids) in Florida. It may be small, but it has a venomous bite that can put you in the hospital or worse. This spider has picked up the unusual tendency of playing dead, meaning as long as you're within their field of view—their eyes are on top of their heads, so they can only see above them—you can poke at one as much as you like without it moving. The danger is when you're on their level, and they suddenly become active again. The spider's name comes from its tendency to seclude itself in dark recesses, such as damp piles of leaves or crumpled clothing and shoes that have been left untouched too long. Your chance of encountering one is Florida is relatively small, but you should always be aware of the risk, as the consequences of a bite can be very serious. Unfortunately, it can be hard to diagnose this type of spider bite unless you feel it happen and correctly identify the spider as a brown recluse. 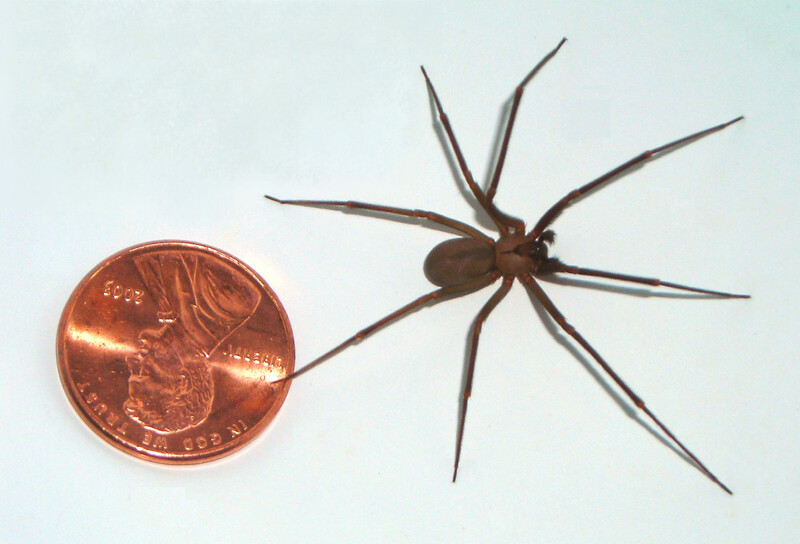 There is also no known antidote for brown recluse venom, though certain treatments can be administered depending on the bite victims symptoms. Refer to the section at the bottom of this article for more details. Southern black widows are more common and can also be quite dangerous. 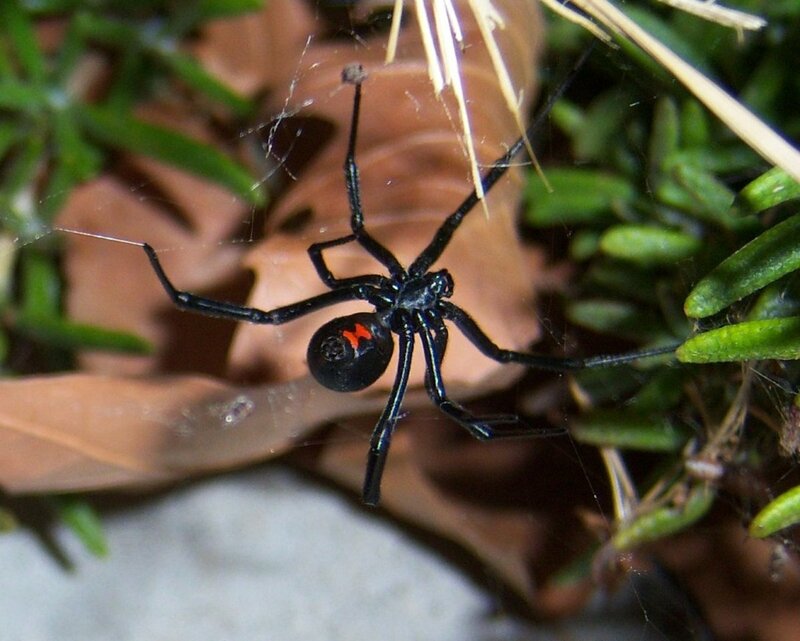 Female southern black widows are bigger and far more venomous than males and can be identified by the distinctive red hourglass markings on their backs. Interestingly, the Southern black widow has a complete hourglass, whereas other species' hourglasses can range from connected or separated triangles to nearly indistinguishable red spots. Male Southern black widows don't have the trademark red hourglass shape at all but may have some red spotting. While males survive a mere two to five months, females typically live to the ripe old spider age of 1.5 years. Females also weigh about 30 times more than their male counterparts. These spiders' webs are often three-dimensional and chaotic looking, unlike the classic flat, circular web pattern of many spiders. They generally frequent wood and rock piles, hollow tree stumps, garages, and basements, among other similar places. You can try to avoid both these spiders by wearing gloves when working in places where they might be living, such as sheds. You should also be careful when putting on old clothing, or footwear, and shake them out before wearing. Making noise (i.e. stomping on the ground) can also deter spiders. The brown recluse only has six eyes, whereas most spiders have eight. Various species of widow spiders can be found on every continent except Antarctica. 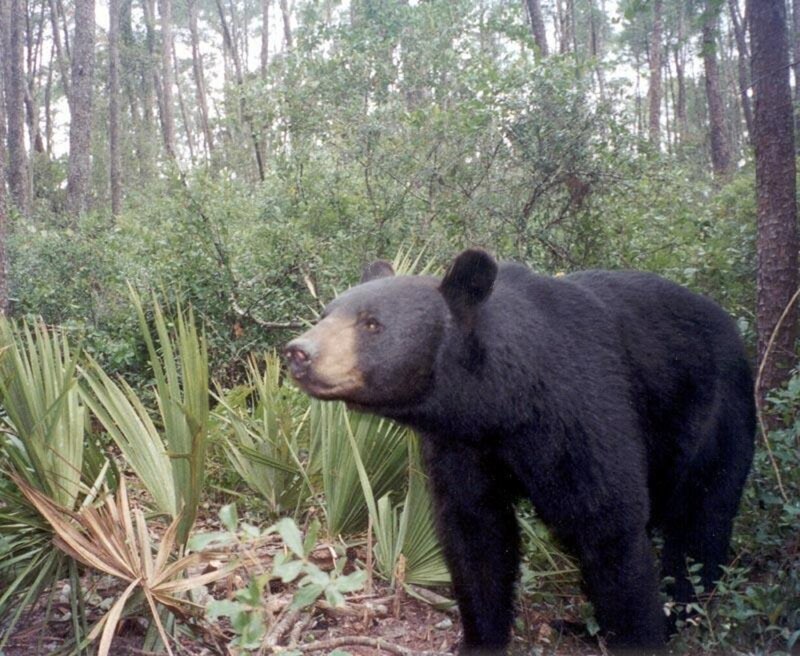 The Florida black bear is the largest land animal that you will find in Florida. They live in wooded areas. Although they were quite common before the arrival of Europeans in Florida, they are now an endangered species and are rarely seen. Sadly, many of the state's remaining black bears are killed in automobile accidents. This is largely due to these bears losing their fear of people and becoming habituated and food-conditioned. Once this happens and they begin wandering into residential areas, it is highly likely that they will be killed, if not by vehicles then by illegal shooting or bear management actions aimed at protecting communities. Preventative methods—such as using bear-resistant trash containers or putting your trash out the morning of pick up rather than the night before—can help keep both bears and people safe. If you live in an area with lots of bears (even if they aren't Florida black bears), it would be wise to consider putting some of these methods in place. Florida black bears are practically vegetarians! Their diets consist of about 80% plants (e.g., fruits, nuts, berries), 15% insects (e.g., termites, ants, yellow jackets), and a measly 5% meat (e.g., opossums, armadillos, carrion). Great White Sharks (though thankfully, these are rarely seen). Fortunately, only the last two are known to cause serious damage to humans. This is partially due to their size, but also to the fact that they have teeth that are designed to shear rather than hold. Though being "held" in the mouth of any shark six feet long or larger is likely to lead to considerable injury, these attacks are very rarely deadly. Out of the 1,032 documented shark attacks in the U.S. since 1690, only 50 were fatal. Bull sharks can happily cruise between salt water and fresh water. All hail the swampy sea shark! According to ISAF, Florida's New Smyrna Beach is the shark attack capital of the world. It is estimated that anyone who's swum there has been within 10ft of a shark. Duunnn dunnn... duuuunnnn duun... duuunnnnnnnn dun dun dun dun dun dun dun dun. These large, water-dwelling reptiles pack a powerful bite and should be treated with extreme caution. They will generally seek to swim away if approached, but I wouldn’t take any risks. If they think their young are in danger or they feel threatened in some other way, they are capable of striking out. These reptiles should not be confused with crocodiles, although they can appear similar to the untrained eye. The easiest way to tell them apart is the snout, which is wider and rounded for an alligator, and more pointed for a crocodile. 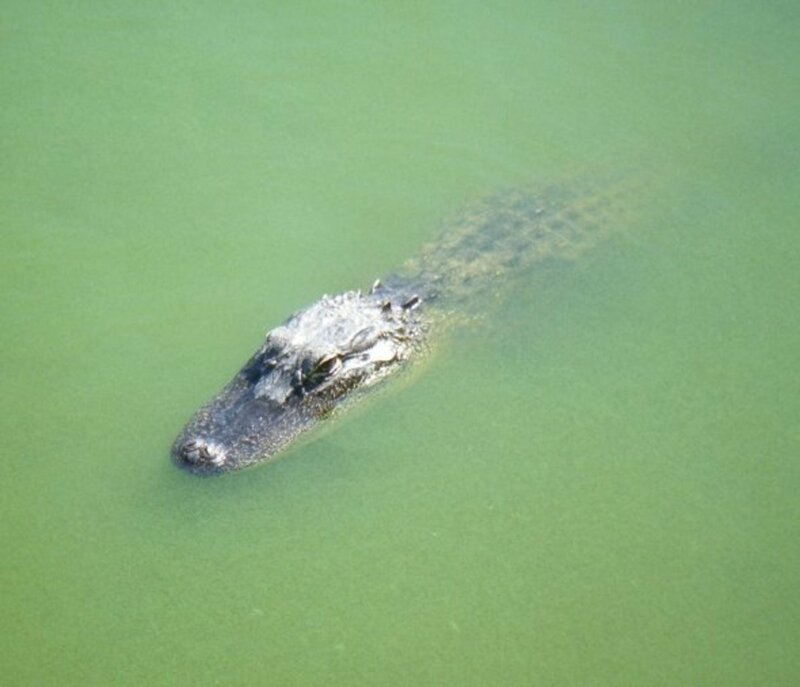 Crocodiles are also only found in the southernmost tip of Florida, whereas alligators can be found across Florida and the southeastern United States. Crocodiles are potentially dangerous too, although the American type tends to be much less aggressive than the African and Australian versions. None of these snakes are inherently aggressive towards humans, and most want nothing to do with us. Unless they are cornered or basking in a particularly glorious spot of sun, these snakes are likely to skedaddle as soon as they "hear" you coming. In addition to these venomous snakes that are native to Florida, there are also Burmese pythons to watch out for. These live in southern Florida and have bred as a result of irresponsible pet owners releasing them into the wild when they’ve become too large to cope with. Some are also thought to have escaped from zoos and houses during Hurricane Andrew. They have bred prolifically in recent years, and officials have estimated that there are somewhere between 5,000 and 180,000 pythons in the Everglades. Snakes cannot hear in the conventional sense, which comes as no surprise considering their lack of external ears. However, snakes do have inner ears that are able to "hear" the vibration of sound waves within their skulls. The information below refers to adult snakes. Check out this article about Florida's six most dangerous snakes for photos and more information. Coloring: Pale to pinkish tan color overlaid with dark, hourglass-shaped crossbands. Habitat: Damp, swampy areas; stream and riverbeds, and the surrounding hillsides; residential areas. Bite Danger: Bites are very painful, but won’t usually kill a healthy adult. Coloring: Dark brown, olive green, or even jet-black, with a dark line through the eye, bordered above and below by white. Habitat: Always near, but not necessarily in, water. Bite Danger: Bites are painful and can be fatal if left untreated. Coloring: Bands of black/yellow/red/yellow/black (in that order) fully encircle these snakes' bodies. Habitat: These snakes are primarily subterranean and can often be found hiding in people's homes. Even still, they are rarely encountered. Bite Danger: These snakes seldom bite unless stepped on, sat on, or grabbed. When they do bite, however, all it takes is a single drop of venom to cause serious complications. Even if a bite victim does not immediately display adverse symptoms, they should be taken to the hospital for observation. Coloring: Brownish, brownish-yellow/grey, or olive color, overlaid with 24-35 dark brown/black diamonds with slightly lighter centers and outlined with a row of cream-colored scales. Yellowish/cream-colored belly with dark mottling on the sides. Habitat: Slash pine/palmetto, longleaf pine/turkey oak, and sand pine/rosemary scrub (especially in areas with lots of gopher tortoises). Bite Danger: Bites are extremely painful and can be fatal to humans. Antivenin is readily available throughout the snake's range, however, and bites are rarely lethal when treated. Coloring: Brown and black chevron-like crossbands on a grayish background with a black tail. Habitat: Lowland areas like marshes and swamps. These snakes only live in the northernmost part of Florida. Bite Danger: With their large size, long fangs, and the capacity to deliver massive doses, a timber rattlesnake bite should be considered life-threatening. They can be treated with minimal damage, however, as long as treatment is administered very shortly after the bite occurs. Coloring: Grey with black blotches over its whole body and almost circular black markings on the middle of the back, with a dotted reddish orange line right down the center between each circular marking. Habitat: Flatwoods and the areas surrounding lakes, ponds, freshwater marshes, and swamps. Bite Danger: Bites are very painful, but are not normally fatal if treated immediately. Wild boars are the descendants of escaped domestic pigs that were brought over by the Spanish, possibly as early as 1539. These intelligent, feral hogs can weigh more than 300 pounds and be very aggressive. Though they primarily attack when they feel cornered, they have also been known to do so without any provocation. Wild boars are omnivores and will eat pretty much anything they can get their hooves on (even manure and their own young). They have a special predilection for newborns and placenta (yuck) and will make a beeline for places where they can smell them, often leaving ranchers stripped of their newborn stock before they can register what's happened. 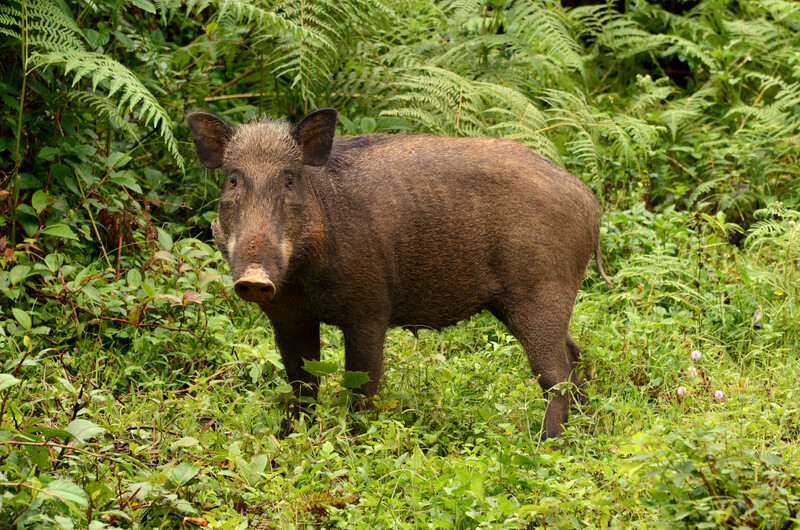 To make matters worse, wild boars carry a plethora of diseases and bacteria, like tuberculosis, pseudorabies, and anthrax, just to name a few. 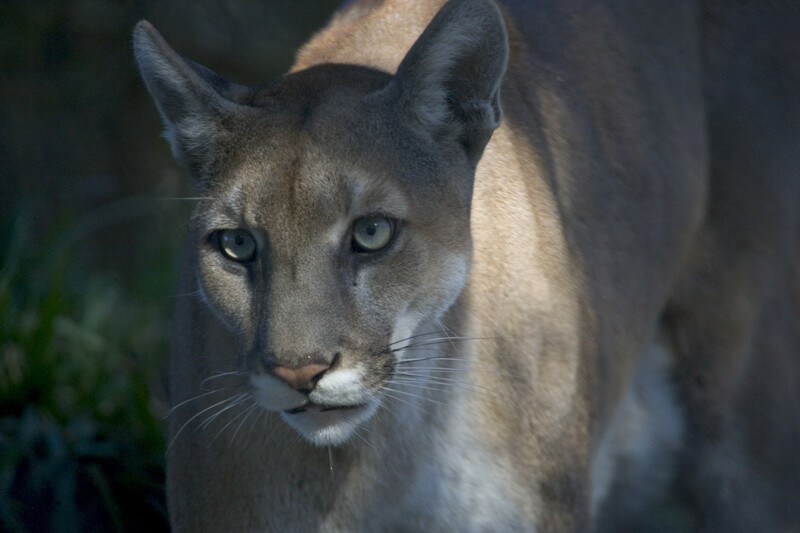 This beautiful big cat is a subspecies of cougar and was chosen in 1982 as the Florida state animal. Its only natural predators are alligators and humans. Though it used to thrive in Florida's then-abundant swamplands, the arrival of European settlers in the 1600s decimated their population through deforestation, building, and so on. It is now one of the most endangered mammals on earth, with only 120-230 of them left. Proportionally, panthers' hind legs are bigger than any other cat's, making it possible for them to jump up to 15 feet vertically and 45 feet horizontally. Though the Florida panther is fiercely territorial, not a single attack on a human has been reported in the state's history. Panthers are an umbrella species: Protecting them and the vast, unspoiled, wild territory each one needs to survive—an average of 200 square miles for a single male—protects many other plants and animals that live there. At the top of the food chain, these cats help keep feral hog numbers in check and deer, raccoon and other prey populations balanced and healthy. These insects are venomous and have a painful and irritating sting. It causes a red bump which can turn into a white pustule and become infected if scratched (the bites often turn very itchy the following day). Still, it's not a single fire ant bite that poses a serious threat; it's when a large swarm of them decides you look menacing and attacks that there's really something to worry about. 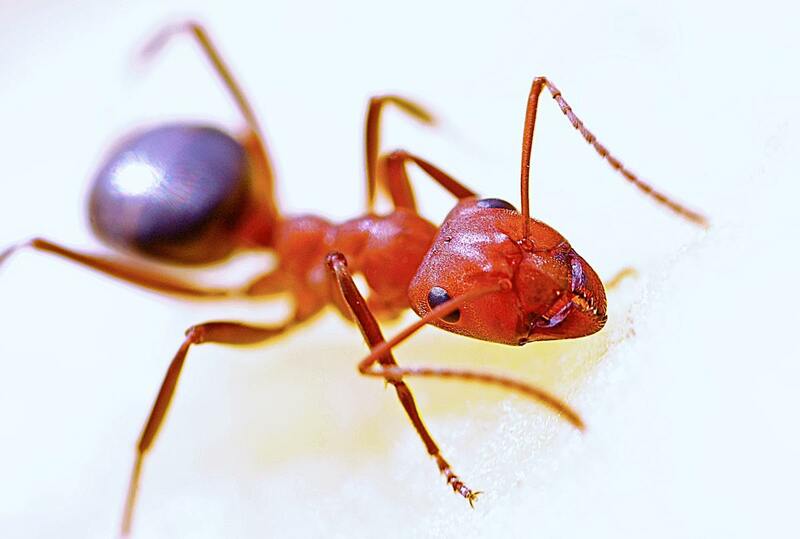 Though any blister resulting from a fire ant sting is an allergic reaction, some people react far more severely than others. In this case, fire ant bites can be life-threatening. Refer to the section at the bottom of this article for more details. Though there are many species of jellyfish, only some of them have stings that cause a bad reaction in humans. Jellyfish stings can cause no pain, intense pain, or even death in some cases, and therefore they should be avoided whenever possible. One of the most dangerous types is the box jellyfish, which boasts the most powerful venom in the ocean—an often lethal paralytic that works on the heart and nervous system. There are 20-30 known species of box jellyfish, and they come in a serious range of sizes, from less than an inch to a terrifying ten feet long (including tentacles). Regardless of size, this is one kind of jellyfish you don't want to run into! 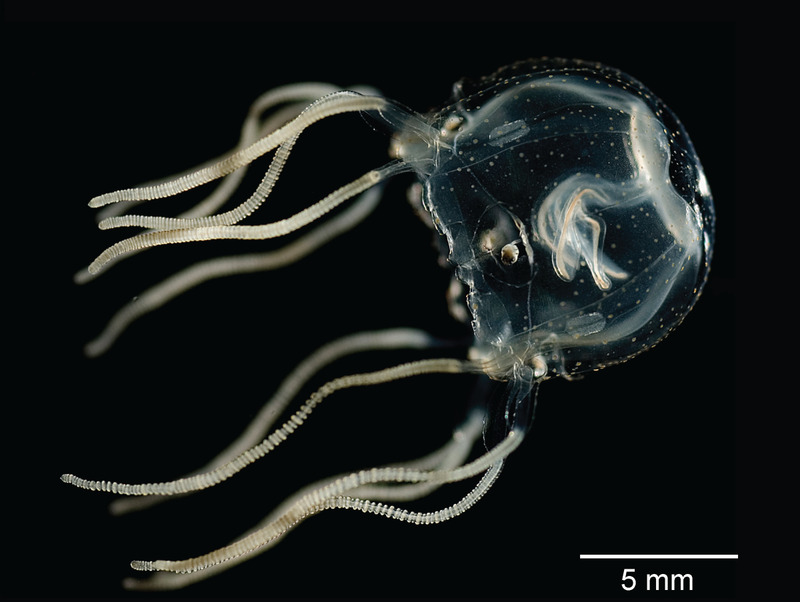 Box jellyfish have killed more humans in the past 50 years than sharks. Due to the nature of their venom, many of their victims die before making it to shore. Barracuda and marlin can both cause potential harm to swimmers. Although attacks on humans by barracudas are extremely rare, they can be confused into thinking that people are prey by shiny things such as diamond rings. Marlins are also reputed to be capable of causing harm, especially to fishermen. It's not just the big fish that you need to look out for, however; the diminutive needlefish can be just as lethal! Though they typically weigh in at under a pound and measure just a foot long, their beak-like mouth is incredibly sharp (hence the fish's name). Though they aren't interested in attacking humans, that doesn't mean they aren't capable. They typically swim near the surface of tropical or mild coastal waters, but due to their slight stature, they are capable of brief flights or high-speed bounces above water when chasing or being chased, puncturing anything they encounter along the way. In 2010, a Florida kayaker suffered broken ribs and a punctured lung from an errant needlefish. Barracudas can swim up to 35 miles per hour. In past centuries, billfish bills (from marlin, swordfish, and the like) were preserved and used as weapons! What If I'm Bitten by a Brown Recluse Spider? It can be hard to identify brown recluse bites, as people rarely feel them happen and therefore miss spotting the culprit. It may also take several hours for any symptoms to manifest. However, if you start to notice any severe symptoms (especially between March and October, when these spiders are most active), you should seek immediate medical attention. These are generally localized, a.k.a. restricted to the bite site. Reddened skin (sometimes followed by a blister) in the affected area. Minimal to sharp pain and itching for 2-8 hours following the bite. Pimple-like swelling at the bite site. These affect the whole body. Full-body rash with tiny, flat red and purple dots. Appearance of an open sore and signs of necrosis (black, dead tissue) in the week(s) following the bite. Call 911 or your local emergy number immediately. Stay calm to avoid increasing the flow of venom in your blood. Apply a cool, wet cloth to the bite site, or cover the site completely with a cloth and an ice bag. Whereas hot water generally breaks down venom, it only seems to make that of the brown recluse more potent. Try to identify the spider or safely catch it to confirm its type. What If I'm Bitten by a Southern Black Widow? These bites are usually easier to identify, especially since severe symptoms often appear relatively quickly, within 30 to 60 minutes of being bitten. Swelling and redness at the bite site. Small fang marks (one or two tiny red spots). Muscle cramps and spasms that originate at or near the bite site and radiate outwards and increase in severity for 6 to 12 hours. Severe stomach, back, or chest pain. Apply a cool, wet cloth to the bite site, or cover the site completely with a cloth and an ice bag. What If I'm Bitten by a Venomous Snake? Contrary to a "dry bite" venomous bites mean the snake has released poison into the bite site. Poisons in snake venom are meant to numb, stun, or kill their prey. While few venomous snake bites are lethal, it is still important to seek immediate medical attention if you develop any serious symptoms. Intense pain around the bite site (this may take time to develop). Swelling, bruising or bleeding at the bite site. Bite marks (these can be obvious or practically invisible). Tender or swollen glands in the armpit or groin nearest the bite. Tingling, stinging, or burning sensations on the skin. Stay calm and move out of the snake's striking range. Remove tight clothing and jewelry before you begin to swell. If possible, position yourself so that the bite is below heart-level. Clean the wound and cover it with a clean, dry dressing. DO NOT flush it with water. DON'T cut or otherwise attempt to remove the venom. DON'T try to capture the snake. Try to remember what it looks like, however, so you can describe it to your doctor. What If I'm Stung by a Fire Ant? Most people with severe allergies to fire ant venom start to display symptoms within several minutes of being stung. If left untreated, these allergic reactions can cause the body to go into shock, so be sure to seek medical help immediately if you are stung by a fire ant and begin displaying these symptoms. Note: Even if you don't have a severe allergic reaction to fire ant venom, be sure to keep a close eye on any symptoms. If you start experiencing severe swelling of the affected area, intense pain, or redness spreading from the affected area in the following days, you may still require medical help. Apply cold compresses to affected areas to reduce swelling. Use a hydrocortisone cream to ease itching. Take an antihistamine to lessen allergic reactions and itching. Apply a triple antibiotic ointment to help prevent infection in open stings. Take an oatmeal bath to reduce itching. Note: It is crucial to resist scratching the stings, as this can open the blisters and cause infection. Which shark is the most common in Florida waters? It really depends on the water and terrain, but if you are thinking in terms of beaches, then the shark that you are probably most likely to encounter is the blacktip shark. 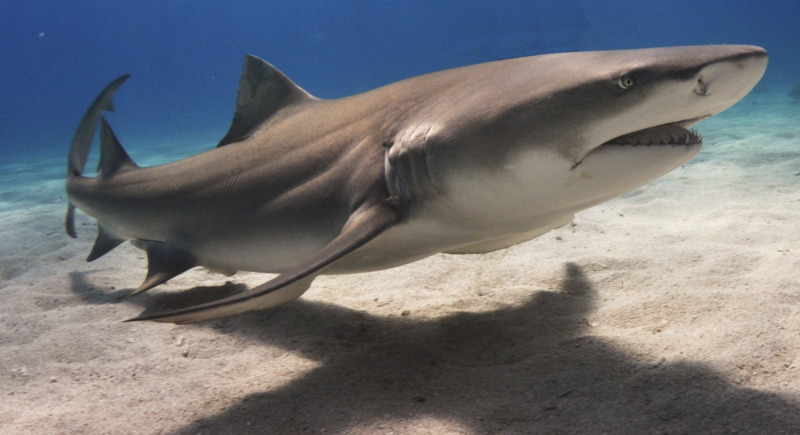 Other common sharks found in Florida waters include blacknose sharks, bonnethead sharks, bull sharks, great hammerhead sharks, lemon sharks, spinner sharks, sandbar sharks, nurse sharks, sharpnose sharks, and tiger sharks. How many types of animal live in Florida? There are around 700 vertebrates and over 30,000 invertebrates who make their home in Florida. In terms of mammals, there are 98 species found in the wild, including bobcats, panthers, foxes, skunks, bears, bats, beavers, squirrels, deer, armadillos, manatees, whales, and dolphins. What are the most deadliest animals in the world? Mosquitoes kill more people than any other creature found in the wild because of the diseases they spread. Other potentially deadly animals found around the world include deathstalker scorpions, cape buffalo, box jellyfish, black mamba snakes, and saltwater crocodiles. Which wild animal in Florida causes the most fatalities? You may think that the answer is going to be alligators, snakes, spiders, or bears, but it is actually deer that cause the most human deaths, mainly through vehicle collisions. What animal lurk around trailer parks in Florida? Are there hyenas in Florida? There are many wild animals that could possibly be found around a trailer park in Florida, examples being foxes, raccoons and opossums. Coyotes have been living in Florida since the 1970's. There is also the possibility of domestic dogs that have gone feral. There are no hyenas in Florida. What dangerous animals are on Florida's Daytona Beach in March and April? I wouldn't be too concerned about sharks, you are unlikely to encounter them, especially if you stay in shallow waters and don't go too far out from the beach. Stay away from anything that looks like a jellyfish: the man o' war (technically not a "true" jellyfish); cannonball jelly; and the moon jelly all deliver painful stings. Which fish in and around Florida are the most dangerous? 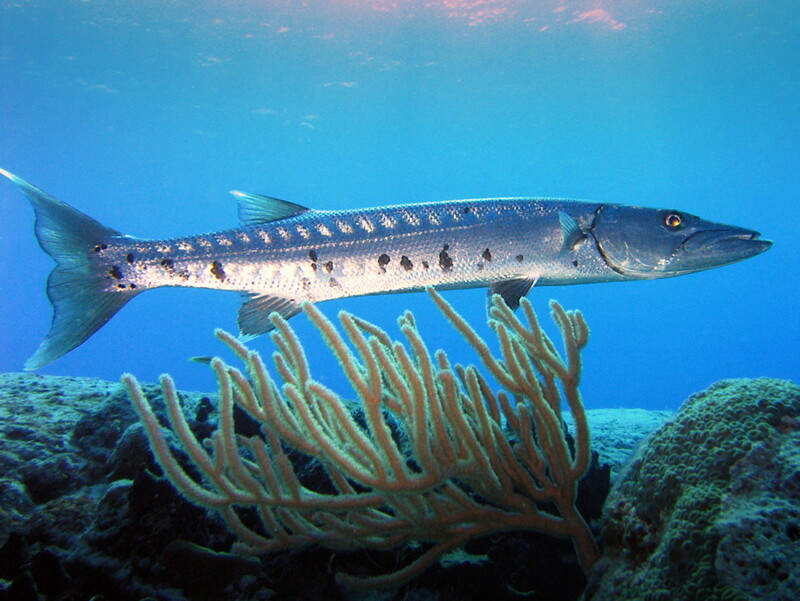 Barracuda and marlin are both capable of causing harm to humans. Although attacks by barracudas are very rare, they can be confused into believing that swimmers are prey due to shiny things like jewelry. The small, but potentially lethal needlefish is another fish of which to be wary. Their beak-like mouth is super sharp (hence their name). If you get in their way, you run the risk of serious injury. In my Florida life been bitten in amostly dry bite by moccasin. Talk about pain! Had a scorpion on my bare arm. Killed a half dozen rattlers including a pigmy. Been stung by fire ants. Had a gator intentionally wait for me down some light rapids like he hoped we would fall out. That was after it attacked our canoe. Other gators you could chase with your canoe and the run from you. Close encounters with Manatee. In my recent visit to Florida I steeped on something in the ocean near the shore I’m thinking it was a crab or baitfish but it pierced the skin could it be one of these? Honestly, i'v never seen any of these animals nd i live in florida with no problems. Also, cane toads. I picked one up and played with it like the tree frogs we had as kids. Went straight to the emergency room. Pets often eat them and die. I might be moving the Florida... until I saw they had panthers. Have you googled them, holy crap! Ive been to florida nothin happened but now its like REALLY BLACK WIDOWS!! i agree as long as you leave nature alone nothing bad will happen. just respect nature and it will respect you! 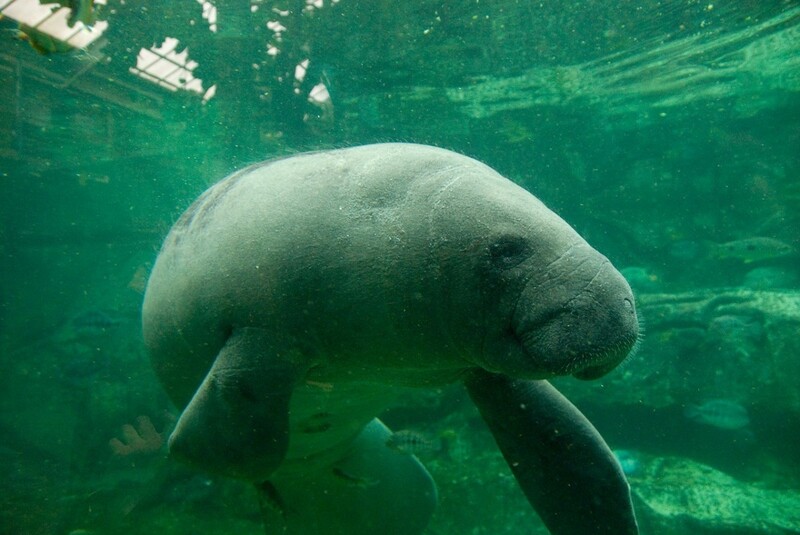 I have lived in florida most my life i have experinced encounters with all these amimals as long as you stay calm and respect them they are beautful in there habitat.i would invite every one to come experience all of florida's national parks. Wow, this is terribly written, Sorry. I’ve been in Florida all my life and wouldn't even list half of those. FYI, not very informative. I'd say this talks about what can hurt you rather than what will. The drivers would be more dangerous than any of these, ha. And please don’t think jellyfish are in rivers. Oceans only. I work in housing and am always having to educate scared/worried people from out of state. This list is making everything scary and very dangerous. Please do research. I like all of these animals except black widows and mosquitos. I live in Florida and go hiking all the time. Literally the worst thing I've experienced is the mosquitos and a sunburn. As long as you watch where you step and Don't​ purposely try to harass the animals you'll usually be fine. As far water goes, fresh water stay out of it unless you are certain their are no gators. Hint: there usually are! Salt water, enjoy ,but be aware of your surroundings and mind the seasons. Great list, Paul. At least I don't want to encounter any of them, especially those fire ants. This was a great hub with excellent photos to go with the list of dangerous animals out there. Well done! Don't let this terrify you. I have been in FL for 25 years. I have always been an outdoor person. Most of these things are timid creatures, and opportunistic hunters. This means you are more than likely large and dangerous for them to attack. good to know what dangers are in florida if I visit. I used to share my home with several black widow spiders without knowing it! That was a little bit of a shock to find out. Most land-based harmful animals don't really scare me, but things in the water do. As a Suth Carolinian, I am used to very murky water at the beach and I hate not seeing what I'm about to step on! I've had some nasty run ins with stinging critters before. Florida is safe. Pretty much all of these animals seek to avoid human contact, if they can, and encounters are pretty rare in most cases. You avoid risk of injury by following basic common sense. Interesting look at such animals, though. Never been to Florida yet so thanks for the warning if I ever visit there. Voted up and useful, interesting. great article. such they are monster of the world.thanks for sharing this ideas. No thanks! I think I'll stick to black bears, mountain lions, rattle snakes, black widow spiders, and great white sharks here in California. I really don't like the thought of gators and Burmese pythons. Hrrrr! Yes, very good point. Boars are more common than some of the animals listed and dangerous, as you say. They aren't indigenous to Florida (brought by the Spanish), but neither are Burmese Pythons. I might merge Burmese Pythons with the snakes section and add boars to the list, when I have time! Thanks for all this great information. Florida is a beautiful state but it's good to be aware of the dangers one could encounter. Thank you to the 2 commenters who highlighted the error in the snake section, which has now been amended. The most dangerous animal in Florida is man. I have been in florida and it is so pretty and nice but i hate those sickik animals. I love this one, of course. I have had encounters with all of these and the brown recluse is the scarriest. I had a bite on my hip and didn't realize what it was until I lucked into a walk in clinic with a poisonous bite specialist on duty. The treatment was gruesome. 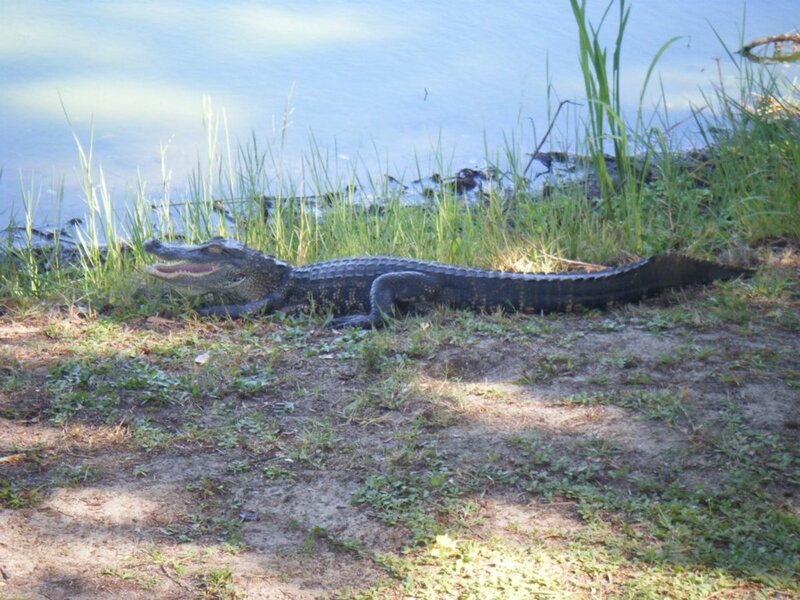 New residents are often shocked to see their first 8 foot gator . . . on their driveway. Remember the adage about Florida swamp land? Hello. Your new house is built on a swamp and someone forgot to tell the animals that they aren't welcome anymore. As far as snakes . . . a cotton mouth is a water moccasin . . . a copperhead is not really a water snake, but are often found around water. As for sharks . . . old school surfers like myself will tell you to act like a predator - show no fear. Does it really work or are we whistling past the grave yard? Yikes, Florida is dangerous LOL. Very Informative! Nice hub which shows a lot of researched work and i enjoyed reading from this work. Thanks for sharing such useful info. I live in Florida, and I'm glad you wrote this to help people know that this state has more than alligators to watch out for. I was warned away because of the jellyfish from swimming outside my Florida auntie's home. This is a great hub. I'd think we'd all know not to mess with the alligator! I had no idea that Florida had both bears and panthers. I thought the Adirondak mountains had all the eastern bears. Absolutely fascinating and packed with interesting facts. Looking forward to reading your other Hubs. California wildlife is pretty tame compared to Florida's, but we make up for it with taxes and unemployment. A totally different beast, you might say.